There are reasons why it is advisable to drink at least a glass of pure apple juice a day. An apple a day, of course, keeps the doctor away. Entrepreneurs need to include apples in their regular diet if they want to remain in the pink of health despite their busy schedule and rigorous daily activities. 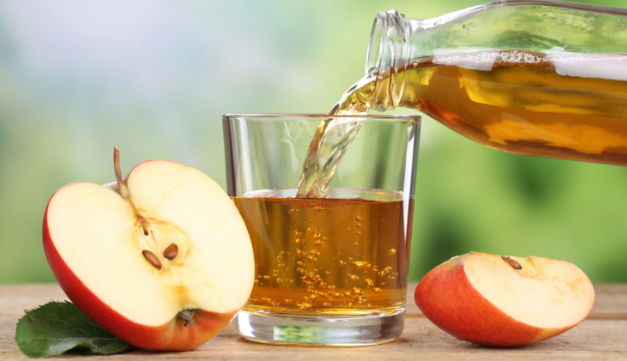 Here are some of the health benefits of drinking at least a glass of apple juice daily. Studies have found that drinking a glass of apple juice daily can help prevent accumulation of bad cholesterol in one’s blood vessels and arteries. Thus, this can help reduce the risk of developing two common culprits of common heart ailments—high level of bad cholesterol and formation of plaques in the arteries. Several researches have proven that drinking a glass of pure apple juice each day can help cleanse the liver and kidneys through removal of harmful toxins. And because of this cleansing property, a healthier digestion is also expected. Are you trying to shed off some excess weight? If so, adding apple juice to your daily diet will help. That is because pure apple juice is free of calories and fat, so that drinking it as refreshment would be much better compared to drinking sodas and other sweetened juices. Several studies have found that drinking apple juice regularly can help lower the risk of developing dementia especially in older people. The juice also somehow slows down brain aging so it would remain sharp for a longer time. As you may already know, apple juice is a good source of Vitamin A, which is the vital nutrient for keeping and improving eye health. The vitamin can help protect the eyes from various diseases and keep the vision sharper. Apple juice is available commercially in the local market. Just be careful when buying it, because some products may already be sweetened, while others are adulterated. One of the trusted brands when it comes to pure apple juice is Mott’s, which fortunately is available in various supermarkets nationwide, through its distributor Fly Ace Corporation. Mott’s 100% Original Apple Juice is made through the finest tradition of extracting juice from the fruit.